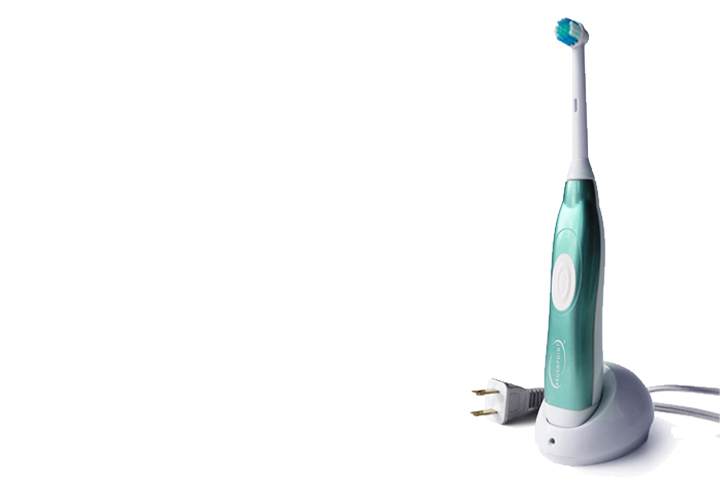 The oscillating Clean Rechargeable tooth brush has sustained rechargeable cleaning power that surrounds each tooth. The high motion single oscillating head has a cleaning action designed to break up plaque and to easily get to hard-to-reach areas. The handle has a single rubber on/off button, comes in beautiful metallic designer colours and is recharged on a compact stand.